Using Direct Measurement Videos to Learn to Make Mathematical Models. 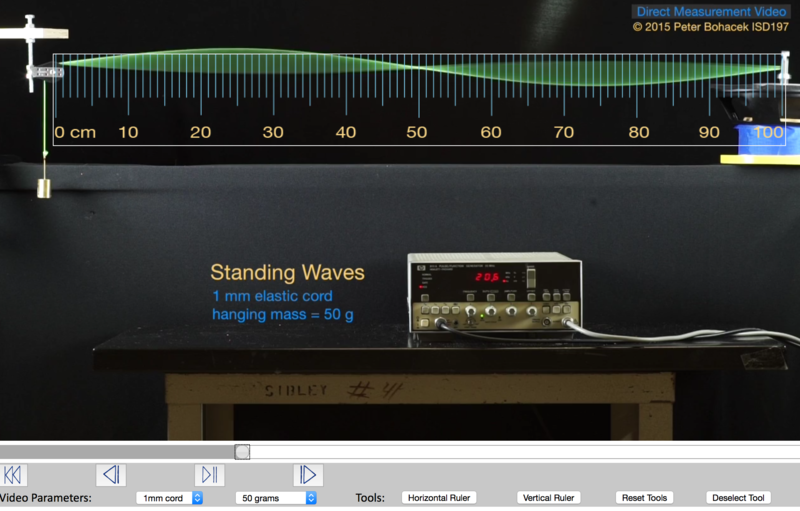 This talk will demonstrate how students can study linear, quadratic, inverse-square, and sinusoidal functions using these videos. We’ll also show how students can learn how to evaluate competing models by making and testing predictions. Join us tonight at 9 EST here. Problem Strings: A Lesson Structure for All Students. A problem string is a powerful lesson format where all students learn, have access to the problems, and are challenged. This was one of the highest viewed talks this year and it provided participants a chance to look at problems such as solving proportions, decimal operations, and solving equations. To view the recording click here. As I cleaned out my back-logged blog reader, the notable posts fell into two major groups: Amazing Resources and Important Ideas. Let’s be alphabetical and talk about Amazing Resources first. If you don’t know about Find the Factors, go check it out. Now. Every week, Iva Sallay creates six new puzzles at varying levels of difficulty which challenge your number sense and logic. They are a great resource for differentiating in your classroom, and for keeping your own skills sharp. Every week – six new puzzles – amazing! 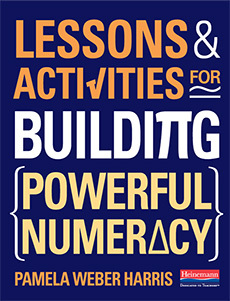 Speaking of puzzles, I’ve mentioned Solve My Maths before, but last week the blogster shared 5 ‘starter packs‘ – complete workbooks of mathematical challenges suitable for starting class, ending class, differentiating in class, reinforcing number concepts – you name it. And the activities are presented in puzzle-type format, which is always a great way to engage students. I confess that I found this next link in a post from Resourceaholic – Revision Mats from Access Maths. These beautifully laid out grids contain a plethora of review problems on specific subjects. I particularly liked the QR Code posters. Explore the website – it’s a delightful rabbit hole of resources. And now for Important Ideas. Start out with Common Errors Made by Math Teachers, again from Resourceaholic. You may or may not have made these mistakes in your classroom, but it’s good to read through them for a check. And speaking of mistakes, you can follow up with this reflection by Audrey McLaren on how we treat our own errors in the classroom. We tell our students [rightly so] that it’s okay to make mistakes, that mistakes provide learning opportunities for everyone in the room, that research on growth mindset shows that our brains grow when we make and correct mistakes. But what about when we as teachers make errors, or flail about a bit in front of the class? Audrey’s got some great thoughts about how to use – even glorify – mistakes in the classroom for maximum learning potential, and how to embrace our own errors for the benefit of our students and ourselves. How could the blog post title Why Don’t the Black Kids Like Math and Science: Easy Answers NOT grab your attention? 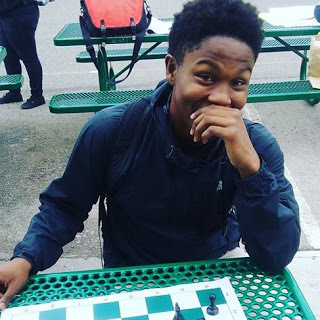 This post, on The Hip-Hop Chess Federation blog, is a must read for everyone. This article addresses how we can vest black students in their math education by providing them with historical background on mathematical discoveries and contributions by non-Europeans. We can do this by educating ourselves first, and the article is filled with references and links to resources for exactly that purpose. Glenn Waddell wrote about this article, and reflects on the imperative for teachers to know the students they are teaching, and to learn how to teach them – not just teach math, but as Glenn puts it, teach people. This one is baffling me. 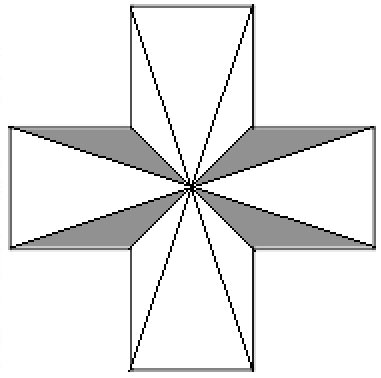 What Fraction is shaded? Over the past year it’s been great to watch Brain Bushart share and grow his idea of Numberless Word Problems. In his most recent post, Brian explains how he constructs numberless word problems and provides some great insight into the work behind the scenes. The only problem with numberless word problems is that Brian can’t churn them out fast enough to keep up with the demand. He needs your help. If you’ve ever used a numberless word problem please consider donating your brain to Brain. If you’re a fan of Estimation180, Visual Patterns, WODB, Open Middle and other similar sites of awesomeness, then you’ll need to add FractionTalks to the list. Nat Banting is spearheading this charge as he looks to unlock the gateway to algebraic reasoning. Use a picture…take a picture…submit a picture. You can follow along on twitter by adding the handle @FractionTalks. It’s been really exciting to see the conversations surrounding supporting students with disabilities within the context of math education. In case you missed it, Andrew Gael (@bkdidact) recently blogged about math and accessibility. There has been a tendency to view students with disabilities as not normal which has in turn affected equitable access to education. Instead of supporting our students with the lens of deficit thinking, he proposes two lesson planing guides to increase rich access to mathematics, Universal Design for Learning which recommends providing multiple modes of access for students and a toolkit provided by the Education Development Center which helps educators understand students in the room by breaking down need and strengths into 8 categories. 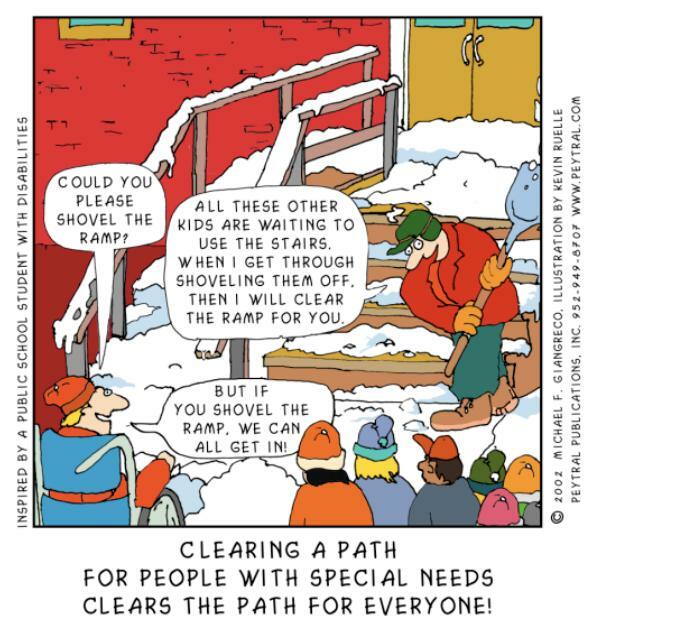 Check out his entire post for details and be sure to check out the document produced this week during #swdmathchat (Students with Disabilities Math Chat) 9 Types of Curriculum Adaptations, with specific recommendations for math, to support GenEd teachers teaching students with disabilities. Let’s continue the conversation on the twitterverse! Have you visited the Global Math Department Website Lately? Over at globalmathdepartment.org we have been doing a little housekeeping. Putting some things away, adding some things. It’s worth checking out, and if you have any thoughts, feel free to let Carl Oliver (@carloliwitter) know. Thanks!